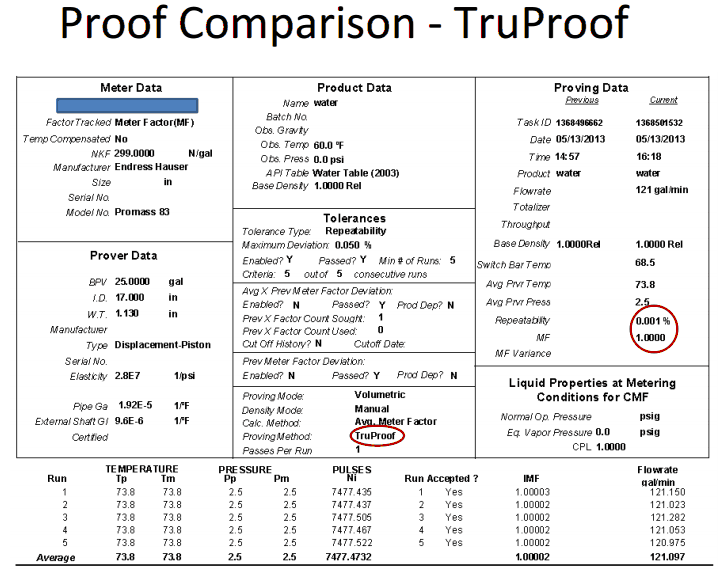 Why is TruProof the right product for you? 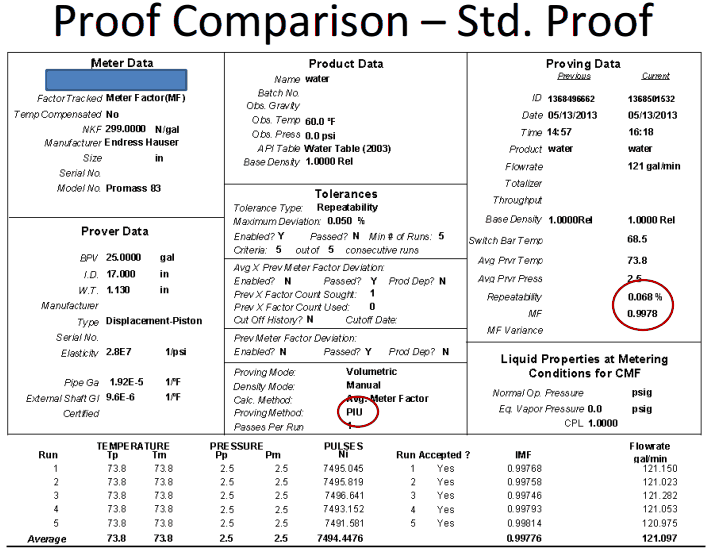 Two proof comparisons of the same meter, produced simultaneously, show the extent to which pulse delay can affect your bottom line. The difference in achieved repeatability and improved meter factor through elimination of the timing bias is dramatic. In this case, a savings of nearly 0.25% of meter throughput.